Undergraduates are an integral and important part of the research taking place within the DeForest Research Group. Self-motivated students in Chemical Engineering, Bioengineering, Chemistry, and Materials Science & Engineering are encouraged to contact Prof. DeForest by email with their CV and a short statement of interest. Preference will be given to underclassman with the intent of performing research over the duration of their time at UW, though all applicants will be considered. December 2017: Collaborative grant from the ITHS! We have been awarded a Collaboration Innovation Award from the Institute for Translational Health Sciences for our work with Prof. Laura Crisa. Here's to a fun and productive project! December 2017: Welcome to Rossana! 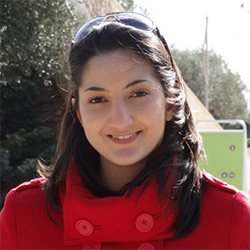 A warm welcome to Rossana Scavone, a Chemical Engineering Masters student performing thesis research in our group. Rossana is supported through a Fulbright scholarship from Uruguay! Great to have you here, Rossana! November 2017: Departmental awards clean-up! Huge congrats to Barry who received the "Faculty Lecture Award" (our top departmental research award), and to Steve for receiving "First Place Speaker" at the Graduate Student Symposium and an Honorable Mention for the Excellence in Graduate Student Teaching award. Way to go, team! November 2017: Innovation Pilot Award grant! We have been awarded an Innovation Pilot Award from the Institute for Stem Cells & Regenerative Medicine. Here's to a great project together with Prof. Beno Freedman and his fantastic team! Wahoo! October 2017: Cover of Advanced Material! Chris' work on exploiting biomaterial photodegradation to generate synthetic vascular networks appears on the cover of Advanced Materials! Fantastic! 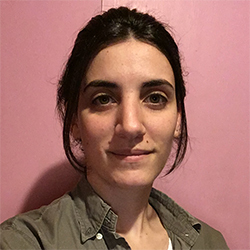 Arbel Sisso joins our lab as a Masters Thesis student. 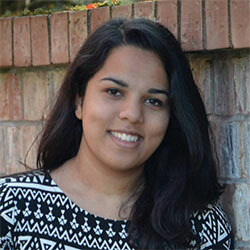 She comes to us with a Fulbright scholarship from the Technion in Israel. Thanks for joining us, Arbel - welcome aboard! August 2017: 35 Under 35! 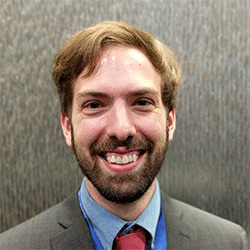 Cole has been selected as one of the recipients of AIChE's inaugural "35 Under 35" award in the Bioengineering catagory. He will be formally recognized at the 2017 Annual Meeting in San Francisco. Congrats! We wish Payam the best of luck as he leaves our lab to start his NSF-funded graduate career at Princeton's Chemical and Biological Engineering Department. Best of luck at Cole's old stomping grounds! August 2017: Congrats to Eric! 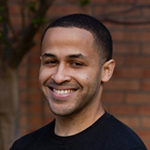 Eric Nealy (co-advised with Jim Olson at the Fred Hutch) has been awarded an HHMI Gilliam Fellowship promoting scientific diversity! Huge congrats to Eric, and thanks to The Aviator! July 2017: Welcome to Ivan! 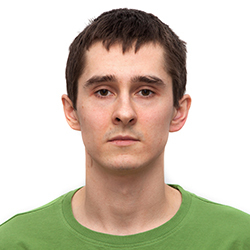 Dr. Ivan Batalov joins our group as a postdoctoral fellow after finishing his PhD with Prof. Adam Feinberg at Carnegie Mellon University. 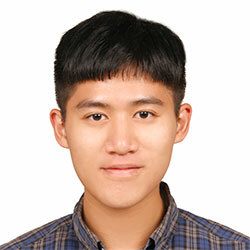 He will be co-advised by Prof. Kelly Stevens as part of the Gree Scholars Program. July 2017: Cole selected for GRC talk! Cole was selected to give an invited talk for the Biomaterials and Tissue Engineering Gordon Research Conference in Holderness, NH! June 2017: Collaborative grant from the Allen Institute! Our group has been awarded a collaborative grant to work with Stephen Smith and his team at the Allen Institute for Brain Science. June 2017: Cover of Journal of Materials Chemistry B! Payam's work on photomediated oxime ligation for gel formation/modification appears on the cover of the Journal of Materials Chemistry B. Cole was featured in the 2017 Emerging Investigator Award issue. Nice work! April 2017: Cole selected as PMSE Young Investigator! Cole was selected to present as part of the PMSE Young Investigator Symposium at the Spring 2017 ACS Meeting, alongside some fantastic colleagues. April 2017: More great news for Payam! Payam wins 1st Place in Research Paper Competition at AIChE Regional Competition, as well as takes second place in the UW ChemE ChemE Science & Engineering as Art Competition! Congrats, Payam! March 2017: Payam receives NSF GRFP! 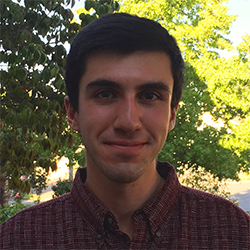 Payam has been awarded the prestegious NSF GRFP fellowship, which will support the first three years of his graduate studies at Princeton University! Excellent job, Payam! March 2017: Chris receives NIH F30 Fellowship! 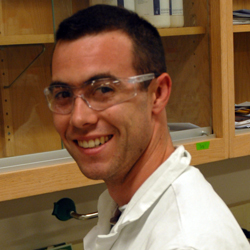 Chris has been an awarded an NIH F30 fellowship, which will partially support the rest of his PhD and MD studies! Congrats, Chris! January 2017: Welcome to Julie, Hannah, Eric, and Alder! Welcome to ChemE undergrads Julie and Hannah, as well as to Eric and Alder (perspective BioE)! We are excited to have you as part of our team! January 2017: Cole receives NSF CAREER Award! 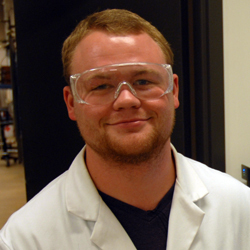 Cole has been selected as a recipient of the NSF CAREER Award from Biomaterials Program within the Division of Material Science! January 2017: Emily receives SWE Outstanding Female Award! 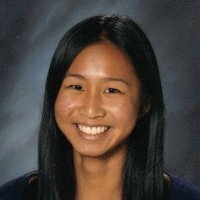 Emily has been selected as a recipient of this year's Outstanding Female Award from the UW Society for Women Engineers! Congrats, Emily! January 2017: Welcome to Eric! 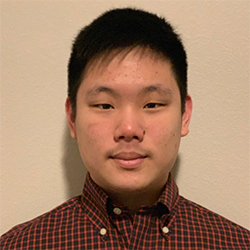 Eric has been selected to receive funding through an Interdisciplinary Dual Mentor Fellowships in Cancer Research offered through the NIH/Hutch to work in the Olson/DeForest labs. Welcome aboard, Eric! 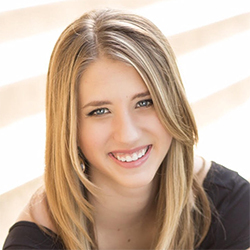 December 2016: Gabby receives Mary Gates Research Scholarship! 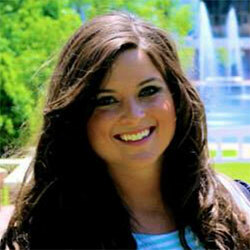 Gabby has been selected to receive a Mary Gates Research Scholarship for work in our lab. Way to go, Gabby! December 2016: DeForest Lab Sweeps Graduate Awards Day! Steve received the Excellence in Chemical Engineering Graduate Student Teaching award! Jared took the first place speaker award for his presentation at the Graduate Student Symposium. DeForest lab, represent! November 2016: Congrats and Goodbye to Koichiro! Koichiro has received a prestigious Young Researcher Grant from the Minestry of Education, Culture, Sports, Science and Technology (MEXT) in Japan! Best of luck with your new position at NIMS and this fantastic opportunity, Koichiro! October 2016: Congrats to Payam! 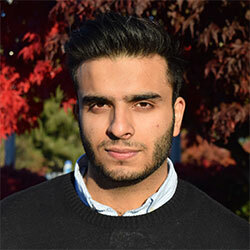 Payam has received funding to present his research at the AIChE Annual Meeting. 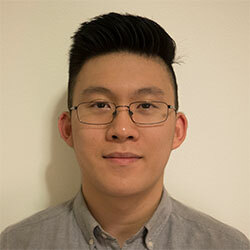 Additionally, he has been awarded a Washington Research Foundation fellowship for continued work in our lab. Congrats, Payam! 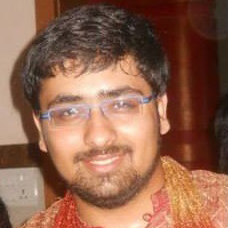 Congrats to Prathamesh on successfully defending his thesis Master's degree. We wish you the best in all of your future endeavours! May 2016: Welcome to Mira! 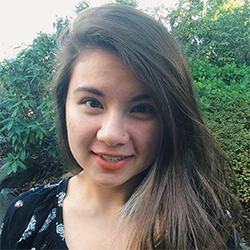 Mira Liu joins us as a summer undergraduate researcher, visiting from Claremont McKenna. We are excited to work with you, Mira! 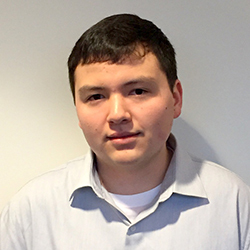 May 2016: Chris receives BCTG NIH Fellowship! 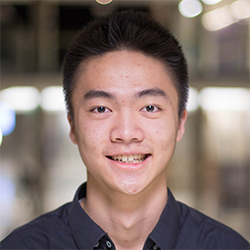 Chris has been awarded a prestigious two-year NIH T32 Fellowship through the UW Bioengineering Cardiovascular Training Grant! Congrats, Chris! May 2016: Payam Receives Space Grant! Payam has been selected as one of the recipients for this year's WA NASA Space Grant Summer Research Program! Congrats on this excellent honor, Payam! March 2016: DeForest Receives Distinguished Teaching Award! 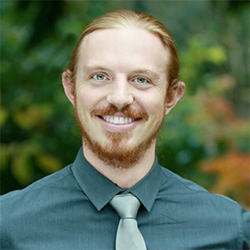 Cole received the University of Washington's Distinguished Teaching Award, the highest teaching award given at UW and awarded to just one Assistant Professor across campus each year! March 2016: Payam receives Mary Gates Research Scholarship! Payam has been selected to receive a Mary Gates Research Scholarship to support his undergrad research in the DeForest lab. Congrats, Payam! 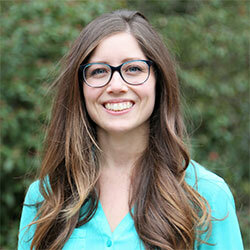 Cole was again nominated for the University of Washington Distinguished Teaching Award! Thanks to all past students for this fabulous honor! December 2015: Welcome to Luman! Welcome to our newest MS student, Luman! 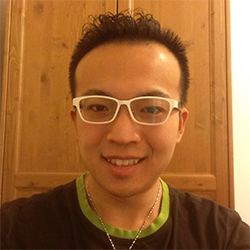 We are excited to have you as a member of our research team! November 2015: Cole elected as AIChE MESD 8b Chair! Cole will serve as the AIChE Materials Engineering & Sciences Division, Biomaterials Area 8b Vice Chair in 2016 and Chair in 2017! October 2015: Great News for Gabby! 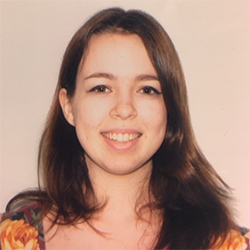 Gabby receives the 2015-2016 Washington Research Foundation Fellowship and has been selected as an Undergraduate Research Leader at the Undergraduate Research Program! Congrats, Gabby! September 2015: Welcome to Payam and Austin! Welcome to undergraduate students Payam Farahani and Austin Im! We're excited to have you on board! 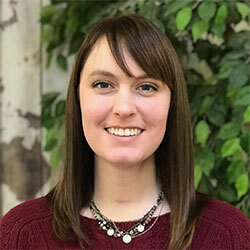 Cole has been selected as the recipient of the 2015 Jaconette L. Tietze Young Scientist Award, which advances the work of junior faculty in stem cell research. June 2015: Congrats to Mike! Mike Comerford has successfully defended his Master's thesis. Congrats on a job well done, and best of luck out East! May 2015: Welcome to Koichiro! 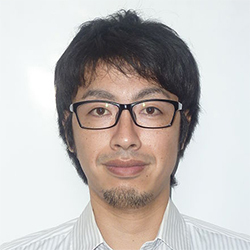 Welcome to postdoctoral researcher Koichiro Uto, who brings extensive knowledge in the field of shape-memory polymers for biological applications! May 2015: Gabby Receives Space Grant! 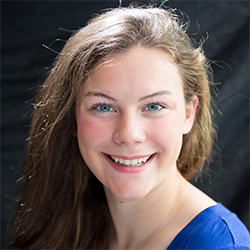 Gabby was selected as one of the recipients for this year's WA NASA Space Grant Summer Research Program! Congrats on this well-deserved honor! Cole & Dave's manuscript on photoreversible protein patterning to direct 4D stem cell fate has been accepted for publication in Nature Materials! 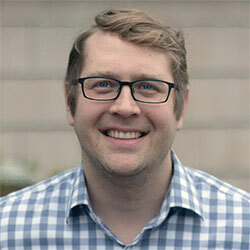 Cole was nominated for a University of Washington Distinguished Teaching Award! December 2014: Welcome to Steve, Emily, Prathamesh, & Gabby! Welcome to PhD students Steve Adelmund and Emily Ruskowitz; master's candidate Prathamesh Gawade; and undergraduate Gabby Benuska! It's great to have you all as part of the team! November 2014: Adjunct in BioE! Cole is now an Adjunct Assistant Professor in Bioengineering! He is looking forward to many fruitful collaborations with students & faculty within this fabulous department! 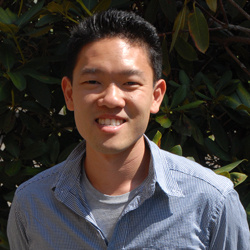 Welcome to MSTP student Chris Arakawa, who joins us from UCLA. We are delighted to have you aboard! Cole has arrived in Seattle! Welcome to graduate students Barry Badeau, Jared Shadish, and Mike Comerford, who will be helping to get the lab up and running before diving into their thesis research! Cole has accepted an Assistant Professor position within the Department of Chemical Engineering at the University of Washington, beginning in January 2014! 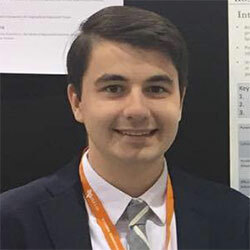 Cole has received a Student Fellow Award from the Biomedical Engineering Society that will be presented at the Cellular & Molecular Bioengineering Special Interest Group meeting in Hawaii! Cole was selected to attend the NSF-sponsored Future Faculty Workshop held at UCSB and hosted by Craig Hawker! Cole has accepted a postdoc position with Dave Tirrell at the California Institute of Technology! Cole and Kristi's recent Angewandte Chemie article was highlighted by Matthias Lutolf as a News & Views article in Nature, by Qian Wang for an Angewandte Highlight, as well as by Ali Khademhosseini (MIT) as a Research Highlight for Lab on a Chip! Kristi and Cole just received word that their work will appear on the cover of the December issue of Nature Chemistry as well as the February issue of Angewandte Chemie! Cole was presented with the DSM Polymer Technology Award at ACS-Denver! Official press release is here. All contents copyright © Cole DeForest. All rights reserved.